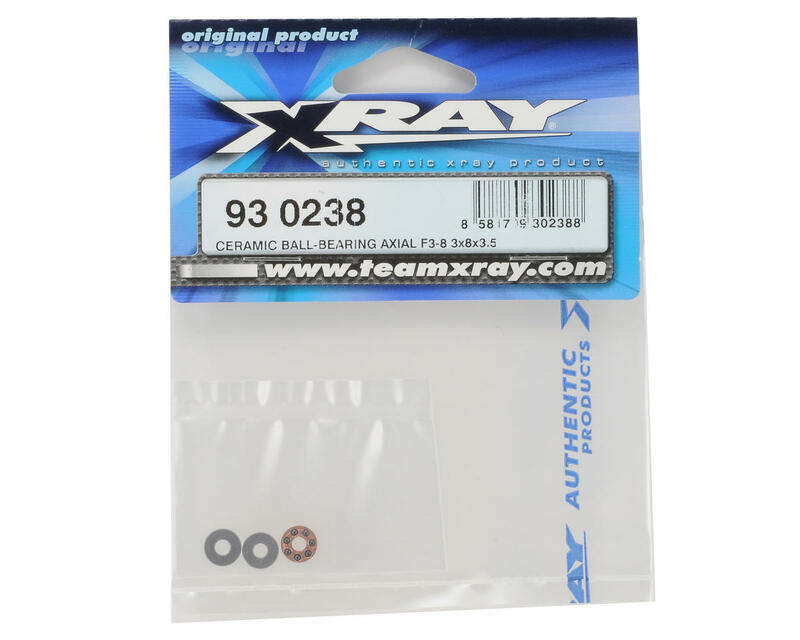 This is an optional F3-8 3x8x3.5mm Ceramic Axial Thrust Bearing, and is intended for use with the XRAY T1, T2, T3, XII, and X10 vehicles. 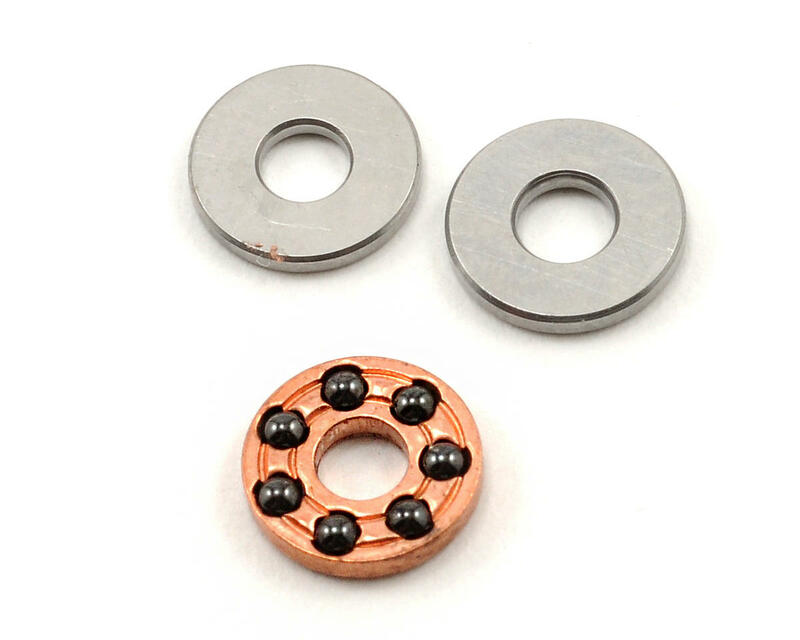 High-precision axial thrust bearing 3x8x3.5mm for ball differential features ceramic balls. The highest quality materials and design guarantees the smoothest diff operation and increased life. Ceramic balls in the axial cage are made from extra-hard Si3N4 silicone nitride ceramic material, which significantly improves differential lifespan, increases RPM capabilities, while reducing friction and vibration.